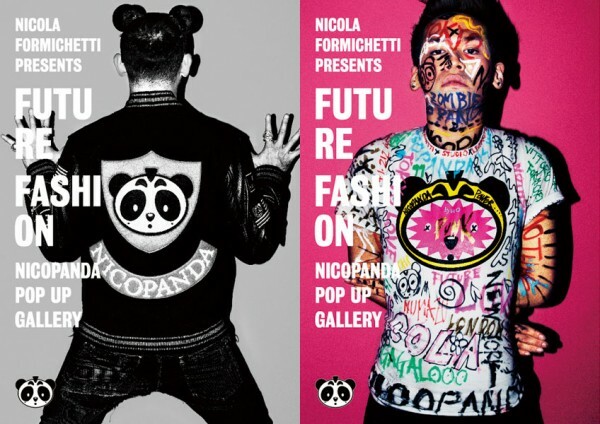 Nicola Formichetti is possibly the most influential fashion stylist in the world today. His work is wide ranging – from jaw-dropping theatrical styling for Lady Gaga to high-end Mugler collections to affordable everyday clothes for Uniqlo. He’s also worked with countless international brands and fashion magazines, including holding the title of fashion director at Vogue Hommes Japan. That resume would be enough to keep most people busy 24/7 and then some. But Nicola Formichetti is not most people! Formichetti has been all over Tokyo in the last week spreading the gospel of NICOPANDA. We can’t keep track of every hip shop where NICOPANDAs have appeared in the window, but they are highly visible in both Harajuku (LHP) and Shibuya (Opening Ceremony). On Monday, he opened an official NICOPANDA popup shop and gallery at the famous Isetan Shinjuku department store. 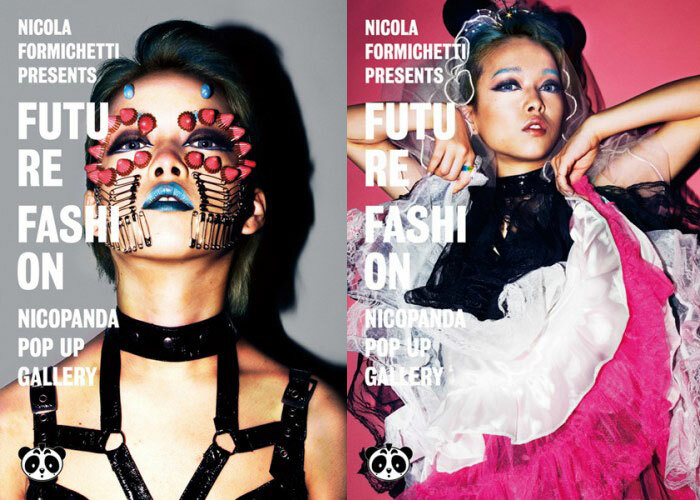 We are big fans of Nicola Formichetti, so we hit the NICOPANDA popup shop at Isetan on the first day to see what it was all about. We missed meeting up with Nicola, but we were lucky enough to run into his brother Andrea, who allowed us to take pictures of the shop to share with you. 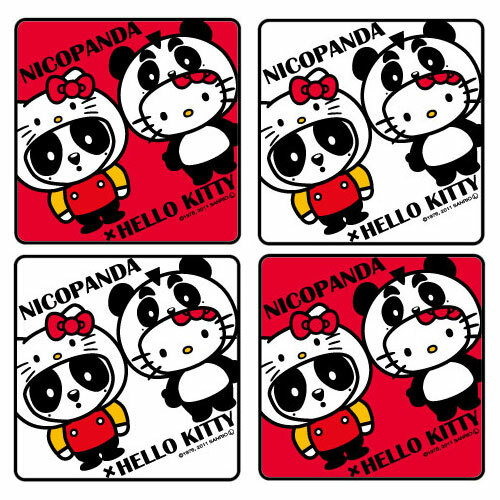 The NICOPANDA popup shop is well-stocked with NICOPANDA goods – including jackets, t-shirts, mugs, jewelry, and toys (Hello Kitty, Bearbrick & Lady Gaga collaborations). One of the stand-out items for us was NICOPANDA nail art designed by Nicola and handmade by the famous nail artist Aiko from esNAIL (who does nail art for countless Japanese celebrities, most notably Ayumi Hamasaki). There were also a lot of NICOPANDA plush dolls, including a “Zombie Panda” version based on Zombie Boy. Unfortunately, the plush pandas were not for sale yet. We were told they should be available soon. 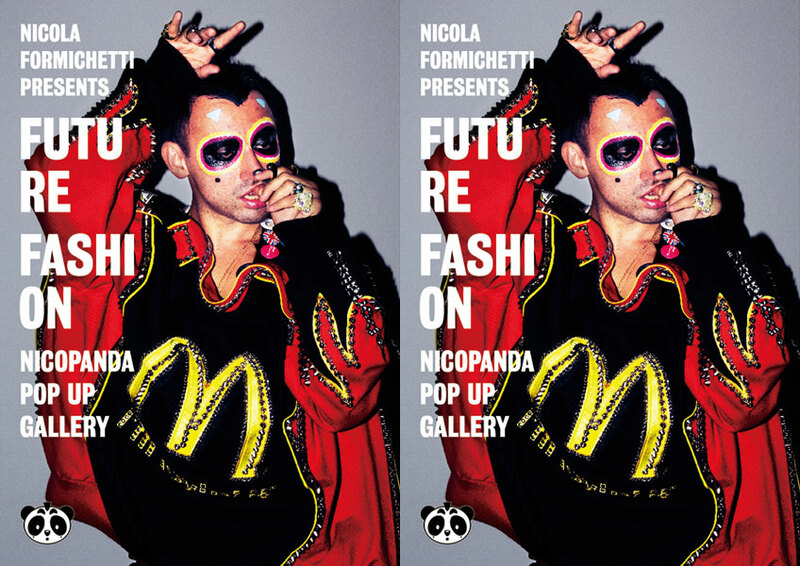 Besides the items for sale, the NICOPANDA popup shop also features a “Future Fashion” art exhibition with original paintings by Nicola Formichetti along with a series of stylized photographs. One of the models featured in the photographs is none other than Hirari Ikeda. We have long believed that Hirari is on the leading edge of Japanese street fashion, so we were excited to see Nicola Formichetti – one of the most famous stylists in the world – include her in a show called “Future Fashion”. 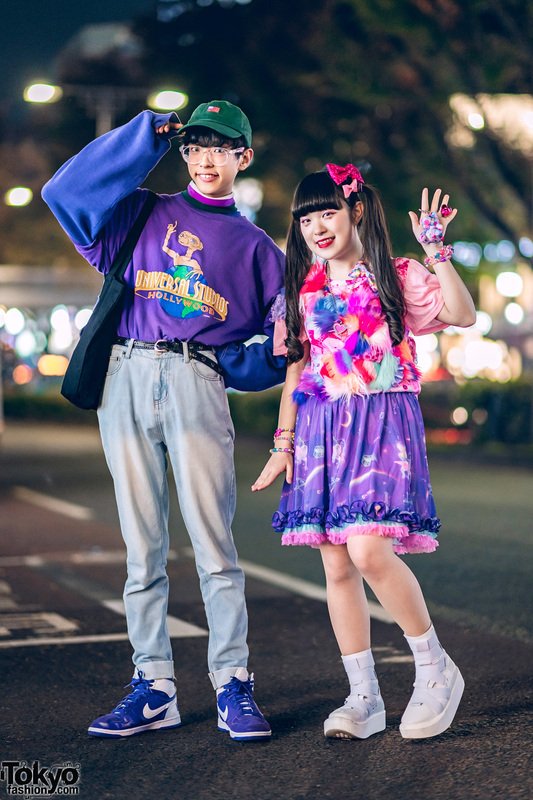 There are other Harajuku street fashion personalities featured in the photos as well, so don’t miss this one. 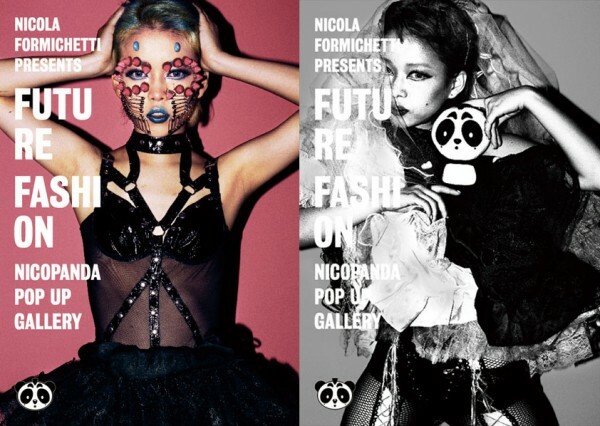 Check out our pictures of the NICOPANDA shop – and a selection of photographs from Formichetti’s “Future Fashion” series – below. All of the photos above except the shop photos are part of Nicola Formichetti’s “Future Fashion” project. 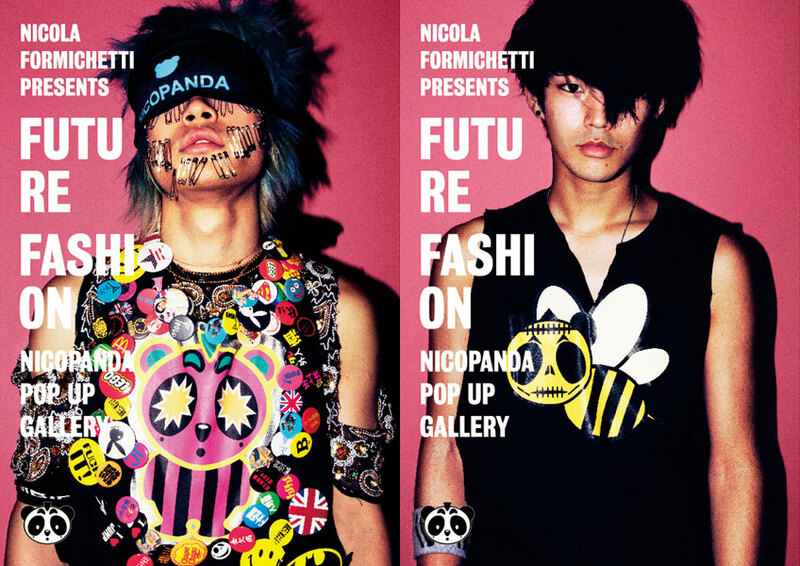 The NICOPANDA popup shop is located on the 4th floor of Isetan Shinjuku in the “Restyle Plus” area. It will be open through July 9, 2012. Photos courtesy of Nicola Formichetti. Love the styling, Formechetti is absolutely amaze.